One of the “secrets” of successfully caring for our cattle is to deal with them as individuals; this is one of the reasons that the tact and experience of those involved with their care is such a treasured commodity among cattle-men. It is the human factor, the ability to “read” the cattle—to be able to recognize alterations in individuals or groups of cattle and to diagnose the cause of these changes by simply observing them. It is this ability that enables a cattleman to intervene early, before drastic interventions are required to resolve problems. Since this ability is a skill that is acquired through years of observing cattle—and perfected by daily practice—length of employment is critical. It is a hard-earned skill and, at Foster Feed Yard, it is one that both management and employees are expected to possess. Indeed, everyone working with cattle, in whatever capacity, is expected to do their utmost to contribute to their well-being. Carlos is a man who was born into another world: the rural interior of Mexico in the early 1950’s. His father had died while working in the United States, so he, the eldest, worked on his family’s ranch in Guanajuato, herding cattle, farming with oxen and packing provisions from town on mules. At the age of twenty four, like his father before him, he left to work in the U S. A month after he crossed the border he began working at Foster Feed Yard, first as a yard hand, then as a feed-truck driver and later, for many years, as a cowboy. His early life in Mexico has given him an intimate knowledge of cattle, and his experience at Foster Feed Yard taught him nearly every aspect of cattle feeding and cattle handling. A man of meticulous attention to detail and considerable curiosity, five years ago he was made yard-foreman. Carlos married a few years after immigrating and raised four children, all grown now, college graduates, and productive members of their communities. Foster Feed Yard is grateful for Carlos’s 38 years of dedicated and loyal service. Robert Pacheco worked for Foster Feed Yard for over half a century. Although he’s moved on to a better life, his spirit remains with all of us at Foster Feed Yard. His great joy in life, his love of cattle and horses and his integrity and professionalism serve as an example and inspire a new generation of cowboys and cattlemen. Roberto was first employed by Hannon Ranches. There he helped run pasture cattle with John Hannon. He then started working for Howard Foster at Foster Feed Yard. He loved his job of 46 years at Foster Feed Yard to the point that he didn’t consider it work. Working with livestock was just a way of life to him. 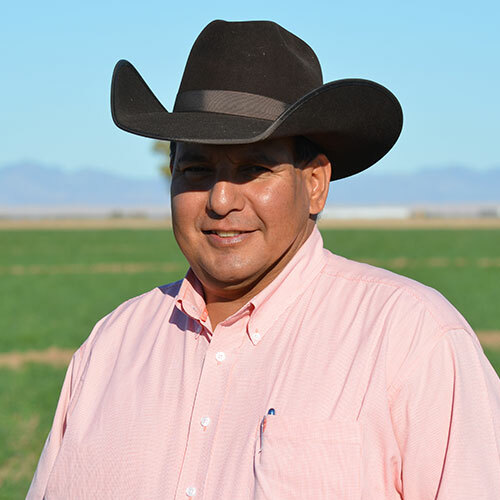 When Roberto first started in the local cattle industry, there were over 72 cattle operations in the Imperial Valley. Today, only 9 remain. There were over 32 packing houses throughout southern California. Today only 2 remain. 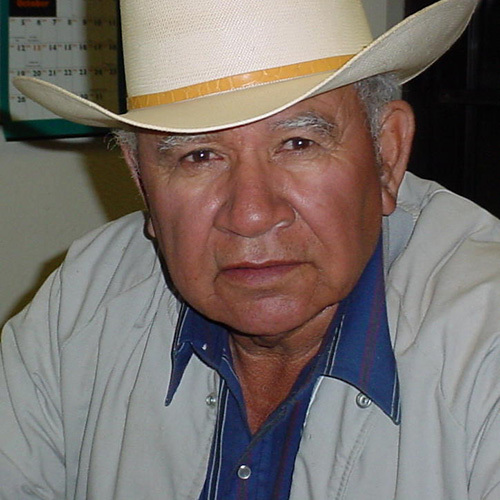 Roberto was a true testament of how the Imperial Valley cattle industry evolved. With his passing we lose a remnant of California’s history, for it was just such men, vaqueros from northern Mexico that brought the first cattle into our state, the earliest pioneers of our agricultural industry. 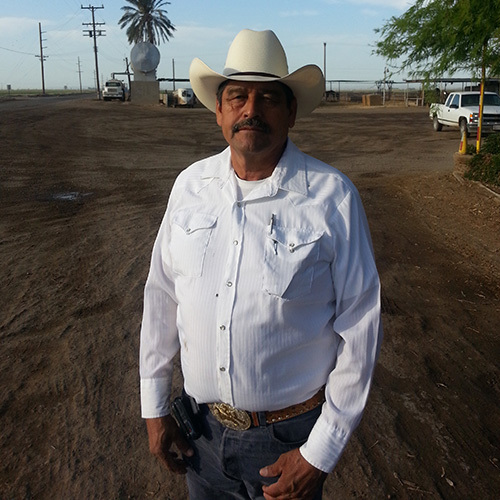 Roberto was recognized by the California Cattlemen’s Association and Imperial Valley Cattle Feeders in 2011 for his years of dedicated, loyal service to the industry. He was also featured in the publication “Cattlemen of the Imperial Valley” Vol. 2 written by Marianne Immel Wilson. 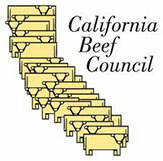 It was specifically written for the Cattlemen’s Gallery at the Imperial Valley Museum which is still on display. A picture of Roberto doing what he loved to do was just recently part of an art exposition by Bill Gates also at the museum. What made him all the more memorable were his great gifts. He was a man of exceptional talents who elevated the craft of managing cattle and horses to an art Anyone who witnessed his skill with a rope was unlikely to forget it. It was elegant and efficient, allowing him to get his work done rapidly while treating the cattle with gentleness. The same can be said of his horses, they seemed to understand what was asked of them and preformed willingly. . We are all enriched by having known him and impoverished by his leaving us. Manual first came to the United States as an infant, strapped to his mother’s back as she harvested row-crops. 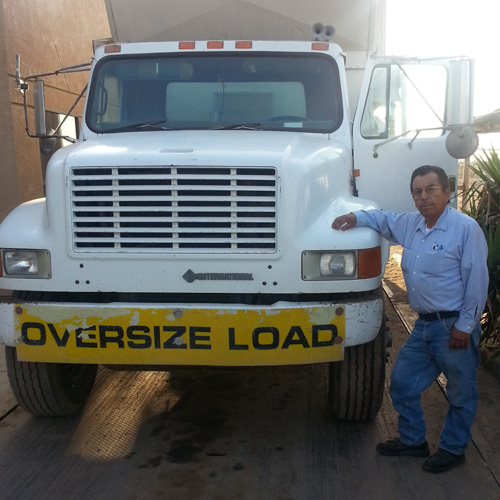 He immigrated at the age of seventeen and began driving a feed truck a few years later. He has now driven feed-trucks for nearly fifty years. He is quick to notice any variations in the cattle’s feedings habits, or in the general tenor of a pen of cattle and he’s just as quick to take remedial action. He, long ago, became a citizen of the US and he raised five children who provided him with numerous grandchildren; he now takes great delight in being tortured by his great grandchildren. Jesse is manager at Foster Feed Yard, a 36,000 head capacity yard located in the Imperial Valley. He takes lots of pride working for a fourth generation family farm with more than 62 years of experience raising beef in the desert southwest. Being a second generation employee at the feedyard, he has big footsteps to fill. His father and three uncles also enjoyed working at the farm for a combined 163 years (43,44,40,& 36). Among Jesse’s fondest memories are working at the yard with many current employees when he was very young. He reaches for his highest goals with all past and present employees in mind. He’s called this same feedlot home and considered the employees as family for the last 15 years. Jesse enjoys reaching out to the community with a proactive presentation on our cattle industry and through social media. He currently works with other cattle producers communicating with consumers on the importance of beef, not only in our diets, but also what our industry represents financially to our local economy. He loves stressing the sustainability of our industry, the safety and nutrition of beef and most of all, telling stories of the people in our business. 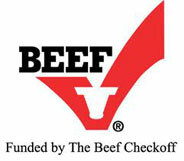 Jesse has noticed that most of the public wants to know more about the people behind the beef they eat. He received his BS degree in ag economics from Fresno State University. Jesse also enjoys raising and showing show cattle with his wife Briana, and daughters Lesly and Cameron. His hobbies include socializing, defending our rural way of life and standing up for our great country.